Following the recent declaration by President Muhammadu Buhari to seek re-election in the 2019 elections, some bigwigs in the ruling All Progressives Congress (APC), whose presidential ambitions have been threatened by the President’s move, have been talking to other parties to get their presidential tickets. According to The Punch, the Social Democratic Party, the Labour Party, the Accord Party and the Coalition for Nigeria Movement confirmed on Friday that they had been receiving overtures from APC governors, senators and other chieftains of the party interested in contesting in the presidential election. Although the CNM is not a political party, it is a growing political platform established by former President Olusegun Obasanjo, which could have influence on future elections. However, none of the parties and the CNM was willing to give out the names of the APC chieftains and members of the other parties that had approached them for presidential tickets. President Buhari had on Monday officially announced his intention to seek re-election in 2019 at the APC National Executive Committee meeting in Abuja. 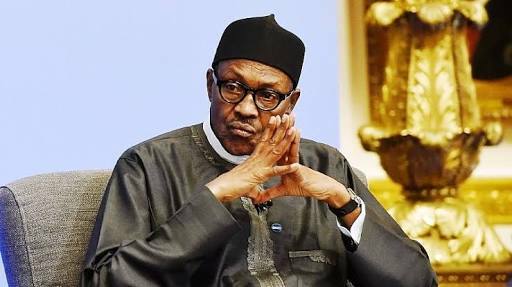 Though the APC had said that Buhari wouldn’t be the party’s sole aspirant, it is believed in many quarters that he would eventually secure the party’s presidential ticket. The Director of Media and Public Communications, CNM, Akin Osuntokun, confirmed to Saturday PUNCH that some APC chieftains had been approaching the group for support. “Of course, but we cannot mention names,” he said when asked if APC chieftains threatened by Buhari’s declaration to seek re-election had started seeking the support of the group. Responding to whether the coalition would be willing to lend support to the APC chieftains who have been making overtures, Osuntokun said, “Yes, of course, that is why we call it a coalition. We already anticipated that right from the outset. Actually, many of them were privy to the inception or birth of the CNM. When asked if the CNM would be endorsing any candidate or whether it would register as a political party in light of the new development, Osuntokun said consultations were still ongoing. He added, “The only pressure to form a party is because of the Ekiti and Osun elections, which will be coming soon. Apart from these, we still have time to do a lot ahead of the 2019 elections. The Punch had exclusively reported on March 18, 2018, that Kwankwaso and some political parties had been meeting with Obasanjo as part of moves to strategise for the 2019 elections. It was reported that in one of such meetings, which held at Protea Hotel, GRA, Ikeja, Lagos, Obasanjo was said to have met with 35 political parties under the aegis of the Coalition for New Nigeria.